I was nominated to do the #5dayartchallenge by one of my besties, Frank. So, for the next five days I will be posting three pieces of art I have done over the past 20 years here, on Instagram and on my Facebook page. Hope you all enjoy the next five days. Now I will take you to my time at the School of the Art Institute of Chicago where I learned so much from my mentors Peggy Macnamara and Olivia Petrides. 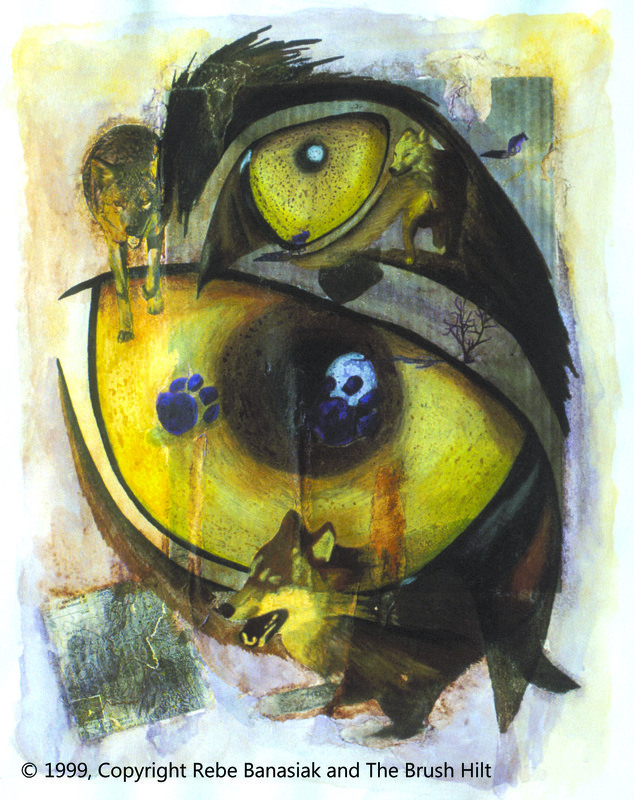 Sight in Yellow and Violet (Wolf series), 1999, mixed media collage. 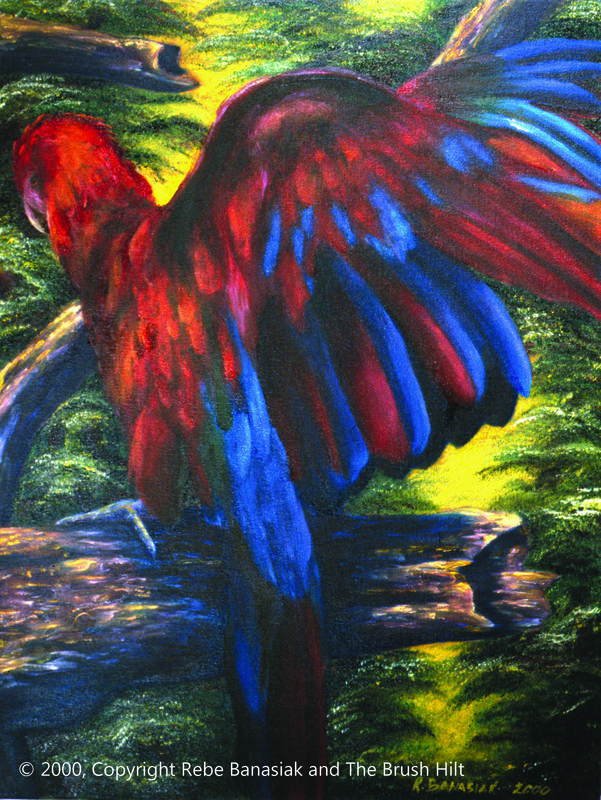 Scarlet Macaw I, 2000, oil on canvas. 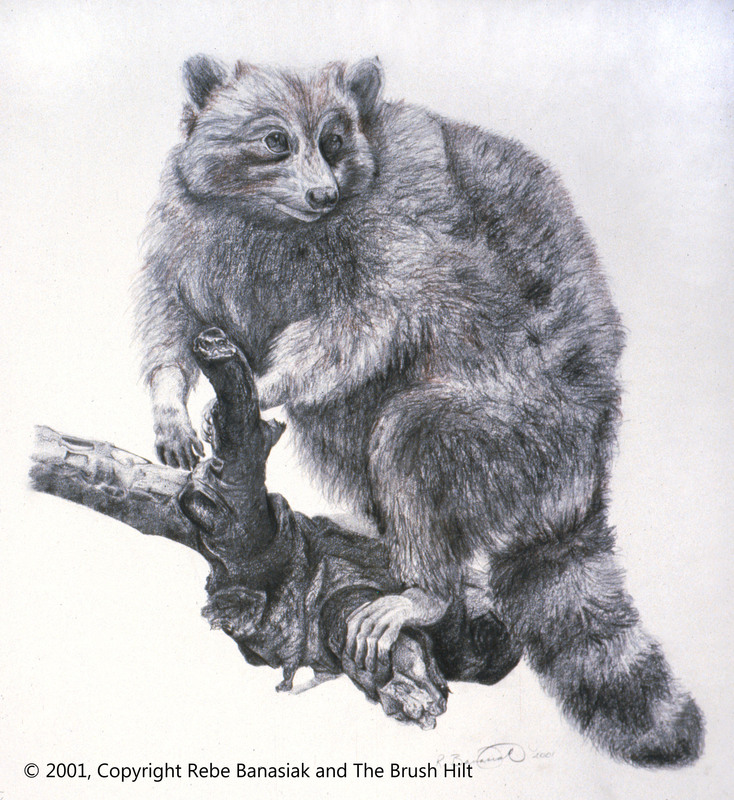 Raccoon, 2001, graphite on paper. JUST A REMINDER: All work is copyright to Rebe Banasiak and The Brush Hilt and only a written permission statement by the artist (Rebe Banasiak, that’s me) is acceptable for any and all image use from this website. Legal action will be taken if use of any images from this website are used without the proper written consent from the artist (yet me again).